I have never been keen on Valentine's Day. In Spain there was no victorian tradition, it is a rather tacky commercial event. But once I overlooked my preconceptions about Valentine's Day, I am quite happy to received flowers or chocolates! Using just one set of Framelits dies - Sizzix Framelits Die Set 4PK - Hearts, Scallop #2 - I made these projects a couple of years ago for an article for Sizzix. It was a featured called One Die many ways, which sometimes is very challenging. However, this one was one of my all time favourite projects. 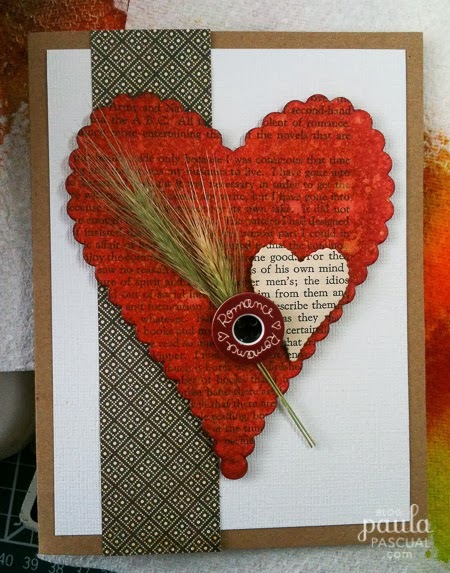 A fairly simple card, using the largest and the smallest heart die. To colour the dies I used Dylusions sprays, which are one of my favourites as I just love the colours, so bright and they work really well mixing them up. 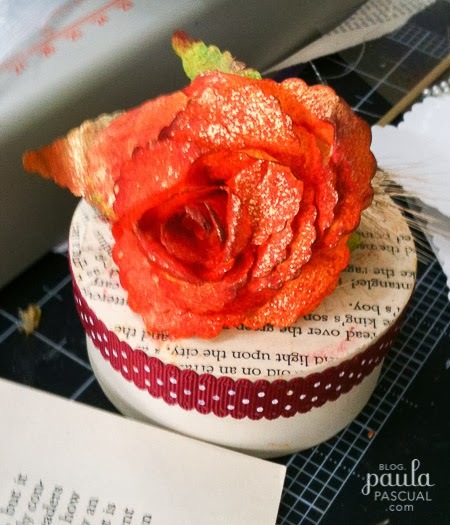 With hearts you can always make 3D roses. I added some gold shimmer spray. Amazing card, such a clever design. Thanks for always inspiring me to make better cards!